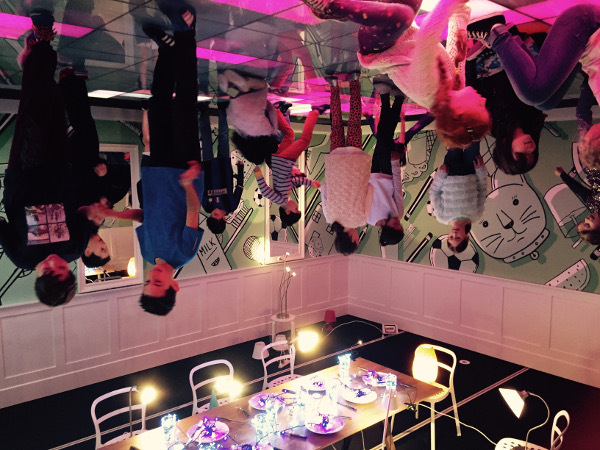 Tromarama is a surreal artsy house filled with interactive multimedia activities that will have your kids literally dancing on the ceiling. It’s happening now at NGV International in Melbourne and it’s free! 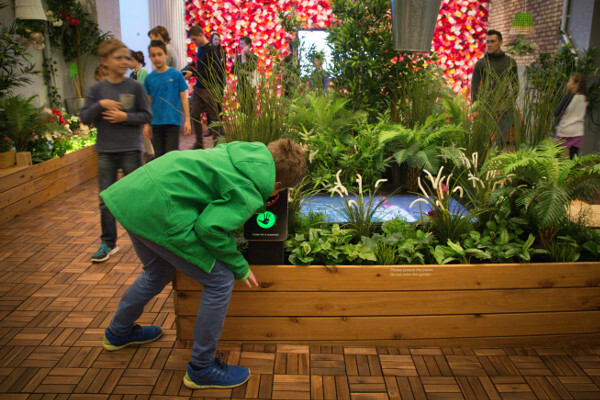 Leave reality on the doorstep as you enter the Open House: Tromarama for Kids exhibition, because inside is a world to suspend belief. Through five common household rooms, everyday objects come to life in extraordinary and delightful ways. The term “fun house” has never been more true! 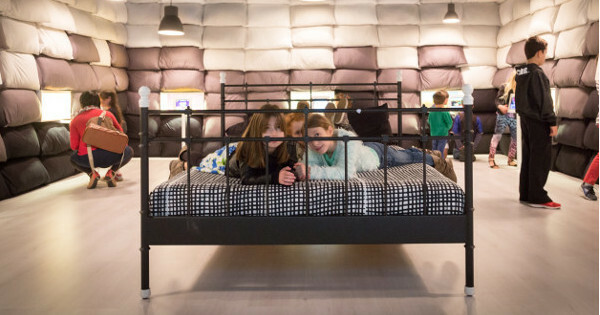 This playful art exhibition is designed for kids and ‘kidults’ alike. 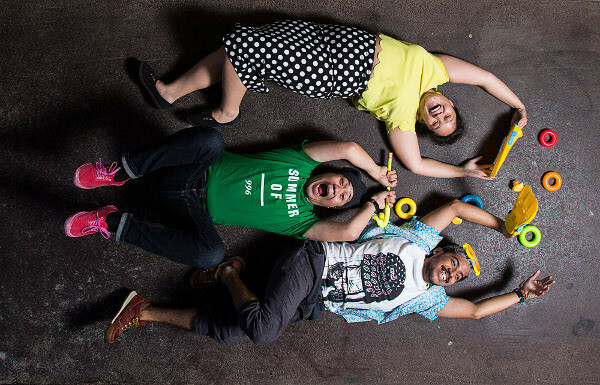 Tromarama are an Indonesian art collective that specialise in creating beautiful stop-animation videos. 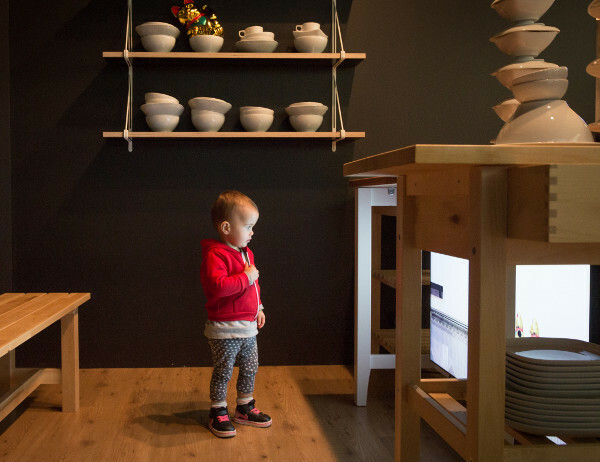 In this exhibit they have taken everyday objects such as buttons, flowers, and crockery to create nine mesmerising and thought-provoking films that can be viewed throughout the house. But wait, there’s more! The bathroom and bedroom together contain fourteen booths for creating stop animation videos via the iPads provided. Let your kids experience the joy that comes from creating their own works and seeing them played back on the screen. Magic! Once your video is complete it can be emailed so you can continue to enjoy these creations at home or share with friends and family. How thoughtful. Play with sounds in the garden amongst chattering pink flamingos and garden gnomes that talk back! In the kitchen, see cups and plates dance together across the wall, while in the dining room everything is topsy turvy and you can dance all day on the ceiling. Every room brings new delights at this wonderful exhibit. In the bedroom the walls are covered in pillows from floor to ceiling and there is a big bed in the centre of the room for parents to sit (or lie down) and rest while the kids play. Yes, the Tromarama crew have not forgotten us parents. The exhibit has plenty of space to steer a pram and lots of seats throughout. Open House: Tromarama for Kids is delightfully colourful and full of fun surprises for kids of all ages. 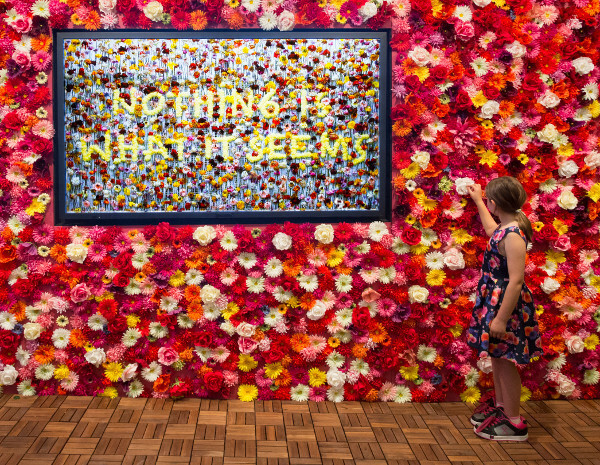 This free event is now open at NGV International in Melbourne and runs until 18 October, 2015. For more fab family outing ideas see our Sunday Arts section.